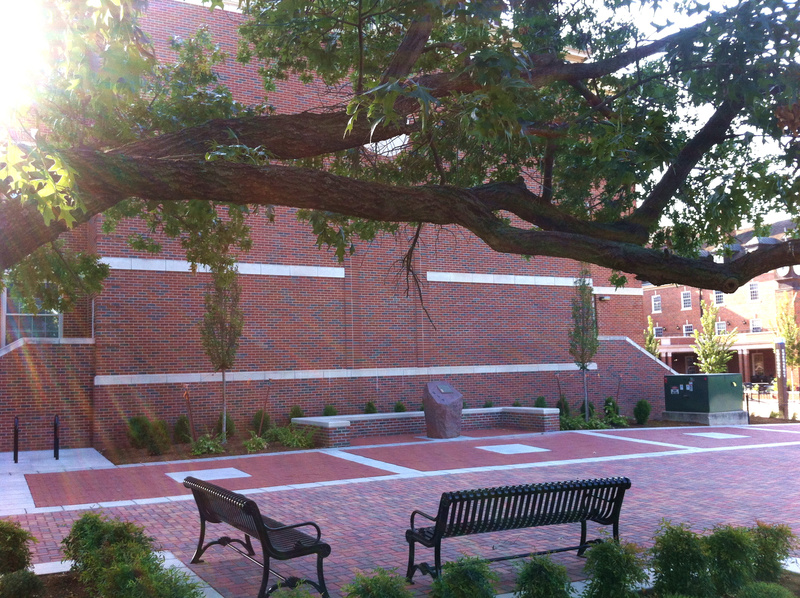 [dropcap style=”font-size: 60px; color: #0099FF;”]K[/dropcap]appa Kappa Psi has a lot of shiny jewelry. From our standard-issue Membership Recognition Pin to the beautiful and pricey Crown Pearl Badge, each pin is meant to be worn in particular situations. Fortunately, you don’t need to commit this information to memory. 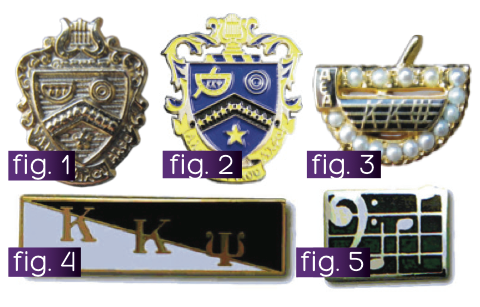 Did you know that descriptions and actual-size pictures of our jewelry can be found on page 79 of the 2011-2013 Kappa Kappa Psi Guide to Membership? In this article, I’ll be going over some of the lesser-understood rules of fraternity jewelry. I’ll also be explaining some of the ambiguities you’ll find on page 79. At the 2013 National Convention, the National Council will propose to the students a set of revisions that will permanently correct these ambiguities. Of course, it will be up to the students to review and accept the proposed changes. If you’d like to chime in before 2013, feel free to e-mail me at adambates@kkpsi.org. This pin is also referred to as the “cofa” (short for coat-of-arms). The Guide to Membership strongly implies that this pin is to be worn on formal occasions when brothers are well-dressed, such as rituals and concerts. Making this rule more obvious will be among the proposed changes at the 2013 Convention. This is a larger, in-color version of the cofa. The Guide to Membership states that this pin is for informal occasions only. It also states that it should not be worn with the Membership Recognition Pin or the Crown Pearl Badge — don’t weight yourself down wearing too many pins at once! Due to its price, not as many brothers own a Crown Pearl Badge. However, the Guide to Membership states that this pin is “the official means of identifying oneself with the Fraternity.” Like the Membership Recognition Pin, this pin is for formal events only. Like the Enameled Recognition Pin, this jewelry is intended for less-formal use. It is designed to be worn on band uniforms or outerwear, hence its larger size. It is important to remember that your band directors decide whether or not fraternity jewelry is permitted during band performances. It’s OK if they forbid it; we certainly can’t blame them for wanting their musicians to look uniform! Any official pin can be converted into the badge of mourning at the discretion of your chapter. This is to be done in remembrance of brothers who have passed away. This is accomplished through pinning the jewelry with black ribbon. Consult the Guide to Membership for more details. A few months back when I was researching this article, I engaged your district presidents in a discussion on Fraternity jewelry. As the leaders of your districts, surely they were well versed in pin etiquette, right? As it turns out, even the district presidents had a thing or two to learn! For the most part they did quite well on my impromptu quiz, but in a few cases they had picked up some incorrect habits from their MEPs or from brothers around their districts. That’s why it’s always good to get fraternity information straight from the source – www.kkpsi.org. It is important to remember that usage of Kappa Kappa Psi regalia is not left to the discretion of individual chapters. These symbols draw their strength from the national unity they bring; misuse or abuse of a pin only serves to undermine that unity. I encourage you to review page 79 of the Guide to Membership during your next continuing membership education meeting. After a little review, you’ll be able to look good on every occasion with your appropriately-selected Fraternity jewelry!